It doesn't matter how hard you train or how blessed you happen to be in the genetics department. Without proper nutrition, you're not going to reach your full potential. Even men who seem to put on muscle mass just by looking at the weights can benefit from having proper nutrition on their side. But fueling your body can be tricky. Unless you know what you're doing, nutritional misperceptions can lead you astray and become hurdles instead of helpers. It's only when you take time to learn the tried-and-true techniques that have stood the test of time that you can ensure that you're on the right track. Luckily, we've broken it down. 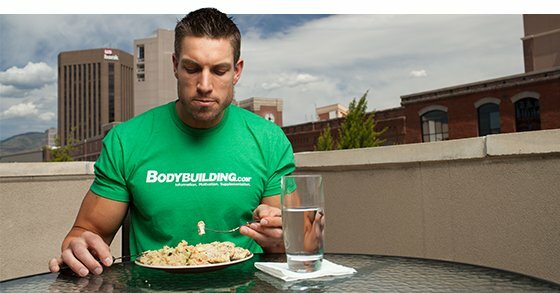 Here are the 10 alpha-building nutrition rules to help propel you to best in class. Bumping your calorie intake up 100-200 calories per day with the hope of staying lean isn't going to help you pack on muscle—it's just going to leave you spinning your wheels. The spike in metabolism alone that's brought on by the incoming "surplus" will likely discount half of those calories. What's more, the little that's left over will be just enough to gain muscle at an incremental rate—so slow you'll barely notice. And there's no faster way to fall off the bandwagon than super-slow progress. For mass gains, you need a caloric surplus. For a lean person looking to pack on muscle, a recommended 2,000-calorie diet could not only cost gains, but could also cause the body to shift into starvation mode and shed calorie-consuming muscle. While the exact figures differ, everybody requires a certain number of calories—known as their basal metabolic rate (BMR)—to maintain their weight. Once you figure out your BMR, add 500 calories or so to calculate your needed muscle-building intake. But muscle doesn't appear alone—it comes with some fat. While there's no need to go to the extreme and gain fat needlessly, the sooner you can accept some fat gain as part of the muscle-building process, the sooner you'll see success. If you're really concerned about packing on fat, combat it with cardio. Adding aerobic exercise to your lifting routine—just a mere 30 minutes of high-intensity cardio five days each week—can help ensure your gains are the result of muscle mass. Whether you eat three square meals per day, pack six Tupperware containers for work alone, or graze throughout, meal frequency doesn't matter nearly as much as macros. Some men and women prefer to eat four times per day, while others might eat eight times per day. The best choice of frequency is whatever allows you to stick to your diet the best. As long as you get your total calories and macronutrients in, the number of servings it takes you won't make a difference. Just keep a rational mindset and remember that, if your target intake is 4,000-plus calories, it might be hard to limit yourself to just four meals. Instead of struggling to jam 3,000-4,000 calories per day of whole foods down your gullet, use high-quality, high-calorie shakes to help you meet your daily goals without leaving you uncomfortable and bloated. Skip the weight gainers that pack in 1,000 calories or more and are filled with simple sugars and unhealthy fats. Look for high-quality weight-gainers where the serving size and caloric impact are in relative balance—not 3,000 calories for 100 ounces—and there's a high biological value (BV). The higher the BV, the more readily the protein is absorbed into your bloodstream. Look for gainers with proteins like whey protein isolate, whey protein concentrate, and whole egg, which have BV values of 159, 104, and 100 respectively. Want to be more hands-on? Create your own nutrient-rich mass builder out of protein powder, ground oats, ground almonds, flaxseeds, dried coconut, natural nut butters, oils, and whatever else you want to include. Since you'll be taking in plenty of carbohydrates and dietary fats in your plan, you won't have to worry about burning high amounts of protein as an energy source. For this reason, aiming for 1 gram per pound of body weight will be sufficient. Choose smart. Skip the misleading hot dog—a beef frank only has 5 grams of protein to match its 5 grams of saturated fat, 26 percent of your daily allowance. Instead, load up on lean proteins such as chicken breast, turkey breast, lean red meat, fish and seafood, and low-fat dairy. Fats are an often neglected part of the muscle growth equation. With the goal of staying leaner, some people base their diet primarily around carbohydrates and protein. Mistake! If you shun fats, you can bank on seeing a serious decline in your testosterone levels. Testosterone is key for weight and muscle gain. In addition to helping maintain bone density, red blood cell production, sexual function, and fat distribution, this hormone is needed for muscle mass and strength. Focus on eating healthy fats such as nuts and natural nut butter, seeds, fatty fish, coconut, flaxseeds, olive oil, and avocado to enhance lean body composition. Another essential: Strive for balance. Focus on getting sufficient omega-3 fats in your diet. Most people tend to overdo omega-6 fats, which can be found in everything from refined vegetable oil to snack foods, while not taking in enough essential omega 3s, which are prevalent in fish, walnuts, and flaxseed. If you want to make the most of every session in the gym, what you feed your body before and after a workout session is also important. What you eat in the time surrounding your workout will directly correlate with how well you perform and recover. Carbohydrates, your body's preferred fuel source, and proteins, the main components of muscle tissue, should both be consumed relatively soon before and after the session. 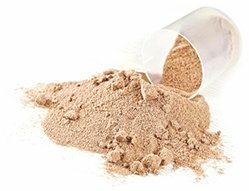 A whey isolate protein powder is also ideal during this time so you can give your muscles the amino acids they need to start the repair process. 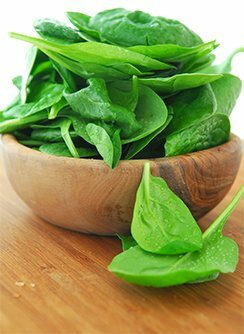 During this time, when you're looking for foods to hit fast, avoid slow-digesting fats. During sleep, your body goes into deep repair and recovery mode. When you sleep, proteins are broken down into their original amino acids and used to fuel the body's vital processes. So be certain that you take in plenty of amino acids. Fueling up on proteins before bed can help delay and even prevent catabolism—the breakdown of muscle tissue that occurs while you sleep. Aim to consume some form of slow-digesting casein protein before bed, either in shake form or as a cottage cheese snack. 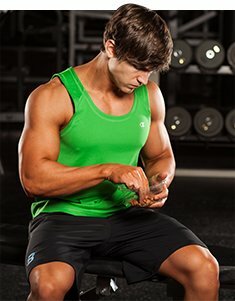 If you're an extreme hardgainer, you could consider having a shake halfway through the night, but only if you happen to wake up. Setting your alarm to purposely awaken so you can consume a shake will disrupt the natural growth hormone release that takes place during sleep. One commonly overlooked factor when planning out a diet and workout program is body type. While you may hunt down the best bulking diet around, it might not do you much good if it was designed with someone else in mind. Ectomorphs usually require far more calories, carbs, and often fats in their diet, while endomorphs will want to be more careful and err on the side of a smaller surplus to see how their body reacts and to avoid unwanted fat gains. Mesomorphs are the lucky ones. They'll generally see relatively good results on moderate calories. These categories play out differently for everyone, but they are great for helping you set your expectations and strategies. Don't obsess over them, but definitely take them into account. Eying that bowl of spaghetti? Just because you're prioritizing muscle-building nutrition doesn't mean you can't indulge every once in a while. Just make sure to properly time your carbohydrate intake, especially simple carbs. The two best times to eat them are first thing in the morning—because you're coming off of a sleep "fast"—and after your workout, when you can use the carbs to initiate recovery, refill glycogen stores, and aid in the muscle-growth process. Looking to fuel your workout with carbs? Think complex. Oatmeal, quinoa, and yams digest slowly, provide sustained energy, and stabilize blood sugar levels. Walking in with a plan—when you're going to eat, what you're going to eat, and how much you're going to eat—as opposed to just winging it increases your chances of success. Building muscle isn't just an excuse to eat more. If you want to maximize results, use the same precision with your diet as you would for cutting weight. Carve out some time from your schedule each week to devote to setting up your diet. It's the best way to guarantee results!